STS Jewels Inc. was founded in 1985 by our current CEO Sunil Agrawal with initial focus on loose gemstones and a long term goal of being the most preferred jewelry wholesaler. With this goal in mind, what started out as a small business supplying loose gemstones, is today one of the biggest and well reputed jewelry wholesaler in the industry. STS Jewels Inc. is a preferred jewelry vendor to some of the biggest retailers in USA and has been doing so for 20+ years now. Our customers range from the biggest brick and mortar retailers to one of the best E-tailers in the industry. Not to forget some of the most reputed catalog companies. STS Jewels Inc. is a part of Vaibhav Global Ltd. (VGL), a public listed company based out of Jaipur, India. Having manufacturing and sourcing operations globally, STS Jewels Inc. can boast of being a vertically integrated jewelry company. 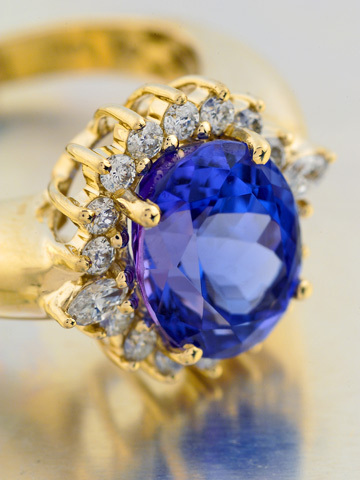 From the very beginning, sourcing of all precious, exotic and semi-precious gemstones, has been the core strength of STS. This has helped it start from a position of strength in the jewelry industry. With humble beginnings, the group has steadily expanded to be one of the most vertically integrated jewelry companies in the world. Today, it has 2 manufacturing plants in India, one in China and sourcing units in Hong Kong, Thailand and Indonesia. It also has a massive gemstone cutting facility in India. Jewelry manufacturing includes casting and stamping operations. Recently, it has also included a state-of-the-art micro-weight, rope chain manufacturing plant that has further added to the quality of its output. The group is professionally managed by a team of highly talented executives. Globally, the group employs over 3000 skilled and trained employees that help in designing, manufacturing and distributing over half a million pieces of jewelry each month. Modern management techniques coupled with propriety ERP software developed by one of the group companies, helps STS maximize the value to its customers.